Music for percussion and lighting. 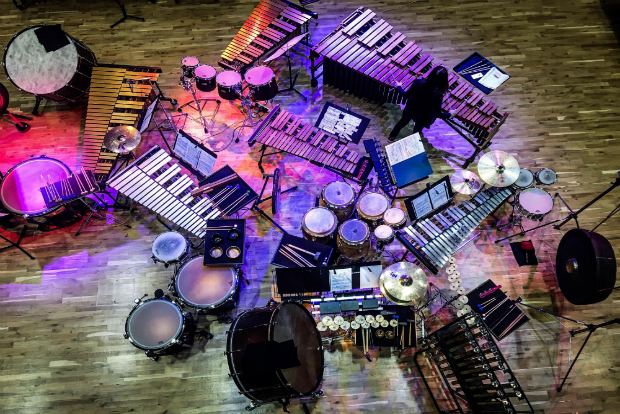 A joint venture between the Conservatoire's Millennial Percussion, Music Technology and Stage Management departments presenting an evening of eclectic music in the heart of urban Birmingham, featuring monumental works by Takemitsu, Varèse and Schubert. Don’t miss our first concert of music for percussion and microphones.